Most Church Chairs Look the Same – are they? How we Get the Best Value for our Money? Are there Fire Safety Requirements for Church Chairs? Purchasing new church chairs can be overwhelming. 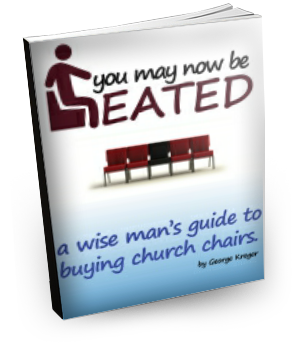 In the guide “You May Now be Seated” you will learn everything you need to know to make a wise decision when it comes to purchasing new chairs for your church.